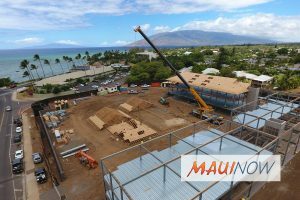 Maui County residents may be contacted by phone as early as Monday, Jan. 7, to participate in a housing planning survey, according to the county Department of Housing and Human Concerns. The Housing and Human Concerns Department is joining the effort with the Hawaiʻi Housing and Finance Development Corp., the lead agency in coordinating the 2019 Hawaiʻi Housing Planning Study, which is being conducted by SMS Research. “The 2019 Hawaiʻi Housing Planning Study is designed to evaluate housing demand and conditions and will provide valuable data to plan housing programs,” said Craig K. Hirai, executive director of the HHFDC. The study goals include gathering and analyzing data on demographic and economic characteristics of Hawaiʻi households; the supply of housing in the short run (two to five years) and the long run (five to 20 years); and breaking down data by specific geographic areas, income groups and Native Hawaiian status. The study also will examine housing demand and evaluate trade-offs for different housing options. Other study participants include the state Department of Hawaiian Homelands; the Hawaiʻi Public Housing Authority; the Homeless Programs Office of the Department of Human Services; Office of Hawaiian Affairs; Department of Community Services, City and County of Honolulu; Office of Housing and Community Development; County of Hawaiʻi, and the Kauai County Housing Agency.